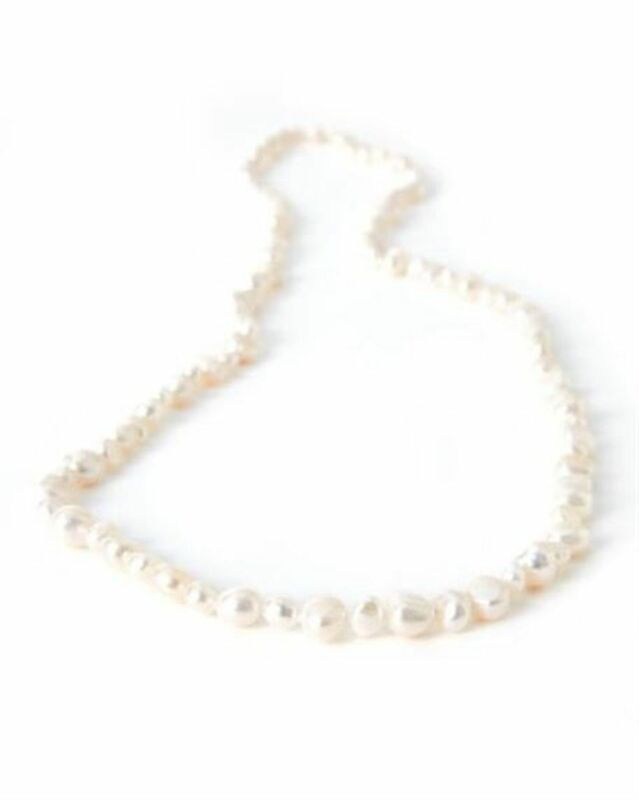 Ladies long pearl necklace. Length 43cm. Stylish irregular, freshwater pearl necklace. Finishing touch to any outfit.